The Youth Pig Scramble is open to Clarke County youth at least nine (9) years of age through eighteen (18) years of age on the day of the contest. Any winner selecting to pick up a pig in the spring of 2020 to show at the 2020 Fair must be enrolled in a 4-H or FFA Swine Project by December 1, 2019. Contestants and parents must agree to assume responsibility for any injuries or damages resulting from participating in the contest. Parents must certify that the pig will remain in Clarke County. 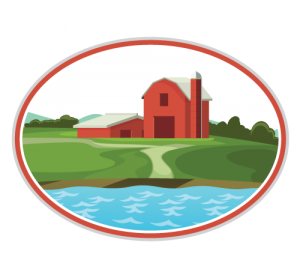 All who plan to enter the scramble must complete entry blank and liability release forms and turn them into the Fair Office no later than 1:00 p.m., Monday, August 12. The committee will then review those submitted and make decisions regarding the eligibility of each prospective contestant. Each contestant must be able to provide proper facilities to adequately care for the pig and report at least once a month to their FFA Advisor or Extension Agent the progress they are making. Pigs for the scramble will weigh between 50 and 65 pounds. Twelve pigs will be offered in the scramble. Feed sacks to put the pigs in once they are caught must be provided by the contestants. Take a pig in the Spring of 2020 and enter it in the 2020 Fair. If the choice is to take the pig in the Spring, the pig must meet weight requirements for the next fair or you will have to reimburse the Ruritan Club for the price of the pig. Contestants cannot change their choice once entries are turned in. 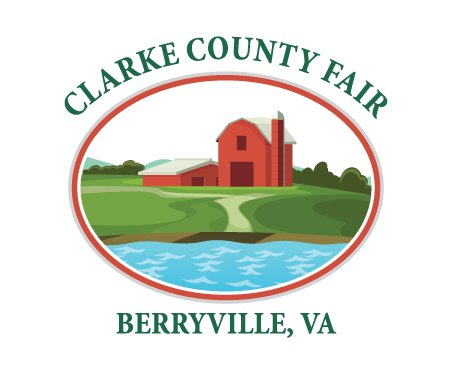 Scramble participants will meet behind the stage following the Little Miss Clarke County Fair Contest. Once classes are divided up, there will be no changing. Contestants must be Clarke County residents and show proof of residency when signing up. Contest is limited to the first 80 youth who sign up. Contestants for the youth scramble must be at least six (6) years of age through eight (8) years of age on the day of the scramble. Contestants and parents must agree to assume responsibility for any injuries or damages resulting from participating in the contest. An entry and a liability form must be signed and turned into the Fair Office by Monday, August 12, 1:00 p.m.
Sixteen pigs will be offered in the scramble. Feed sacks are not needed for this contest. Contestants who catch a pig have the option to pick up their pig immediately within 30 minutes of the scramble conclusion at the TRACK and take it home, or receive $20.00. Contestants cannot change their choice once entries are turned in. Once classes are divided up, there will be no changing. Participants must catch and hold the pig by at least one back leg to win. Contestants must be Clarke County residents and show proof of residency and proof of age when signing up. Contestants who enter the Women’s scramble must agree to assume responsibility for any injuries or damages resulting from participating in the contest. All must sign a liability release form and turn it into the Fair Office by Monday, August 12, 1:00 p.m.
Feed sacks will be used in the scramble and must be provided by the contestant. Contestants who catch the pig have the option to pick up their pig immediately within 30 minutes of the scramble conclusion at the TRACK or receive $20.00. Contestants cannot change their choice once entries are turned in. Once classes are divided up, there will be no changing. At least four (4) women must register to compete in order to offer this division.